KM 85/50 R Bp Pack 13511270 https://www.kaercher.com/hk/professional/sweepers-and-vacuum-sweepers/sweepers-and-vacuum-sweepers-walk-behind/km-85-50-r-bp-pack-13511270.html Fitted as standard with battery and charger, the agile KM 85/50 R ride-on sweeper impresses with its high area performance. This compact entry-level model is easy to operate. 2 tanks for simple removal and safe emptying of waste. Waste container free of rough edges permits emptying without leaving behind any residues. Castors on waste container simplify handling when emptying. Polyester flat pleated filter. Effective cleaning with dual scraper. Comfortable operation from operating position. Access to the filter through wide-opening cover without the need for any tools. Clear and ergonomic attachment of operating elements. Adjustment of driver's seat without the need for any tools. Height-adjustable steering wheel. Versatile and practical connection for simple carrying of other cleaning utensils. For simple carrying of litter picker, brush, cloths or an additional container, for example. Large storage area in rear of machine. Can be easily and conveniently viewed from the outside. Precise determination of replacement time. Protects the side brush against damage. Lowers maintenance and service costs. Excellent manoeuvrability of the machine. 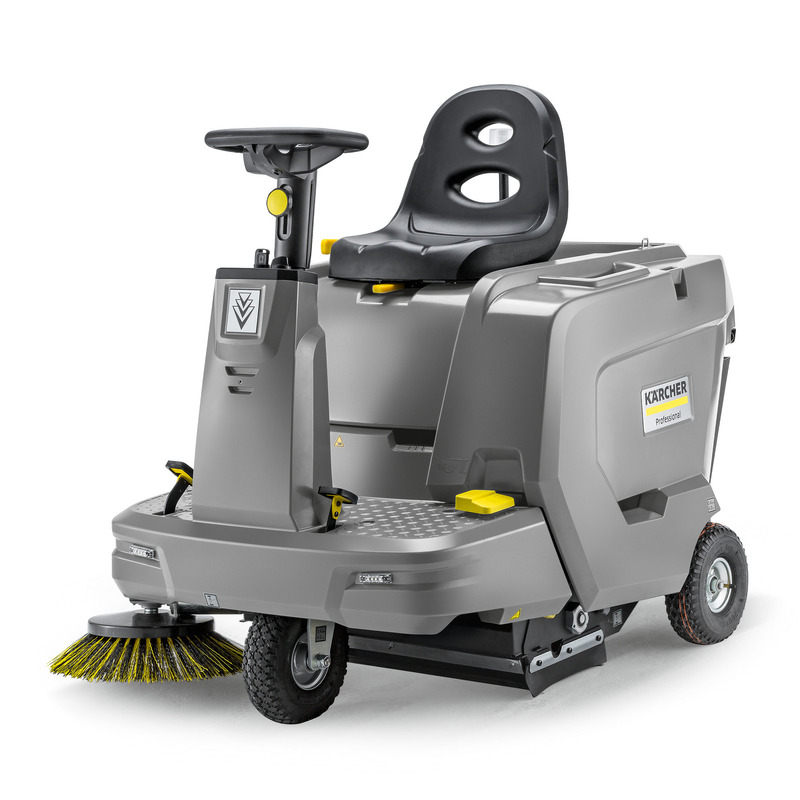 Also ideal for congested and confined areas. Possible to drive through normal door openings (90 cm). For adapting the side brush speed to the respective type and volume of dirt. Excellent dirt pick-up also in the case of bumps/unevenness. Roller brush and side brushes can be conveniently switched on and off via a foot pedal. Forward and reverse movements can be conveniently set and adjusted using a selector switch. 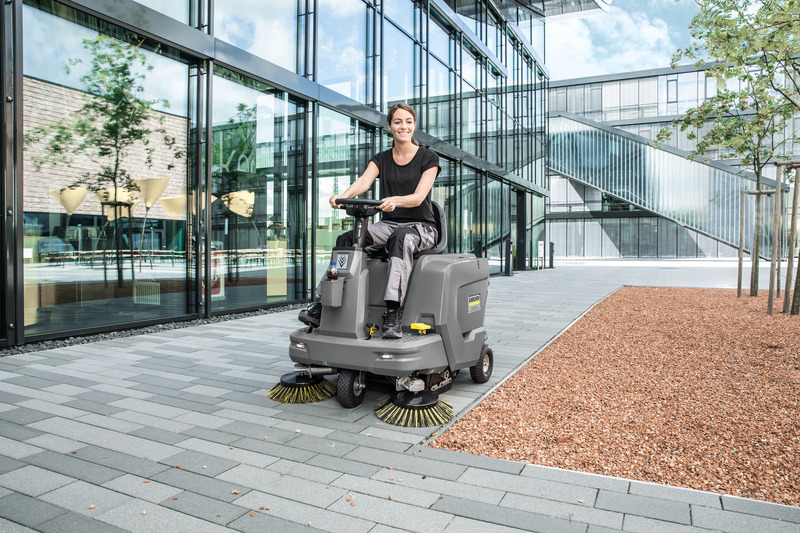 Suction volume regulation for sweeping wet surfaces.